My entire string of Christmas lights just went out! What do I do? 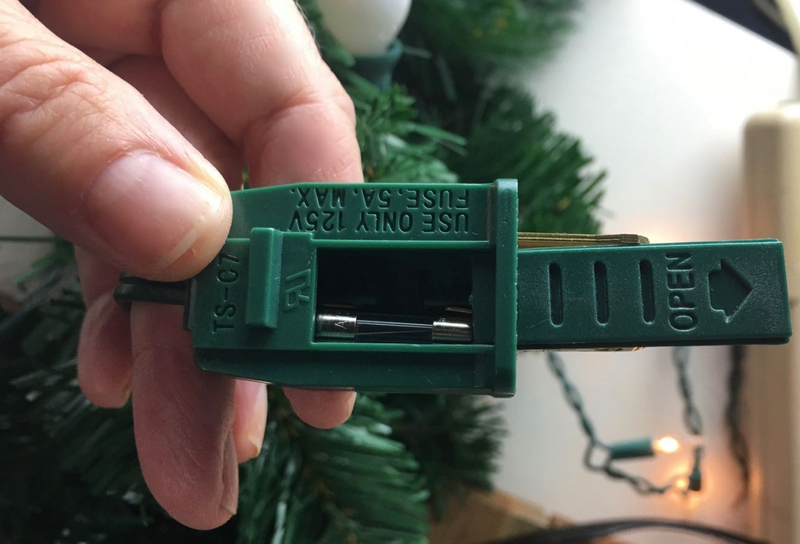 Yes, most Christmas lights have fuses in the male plug end. 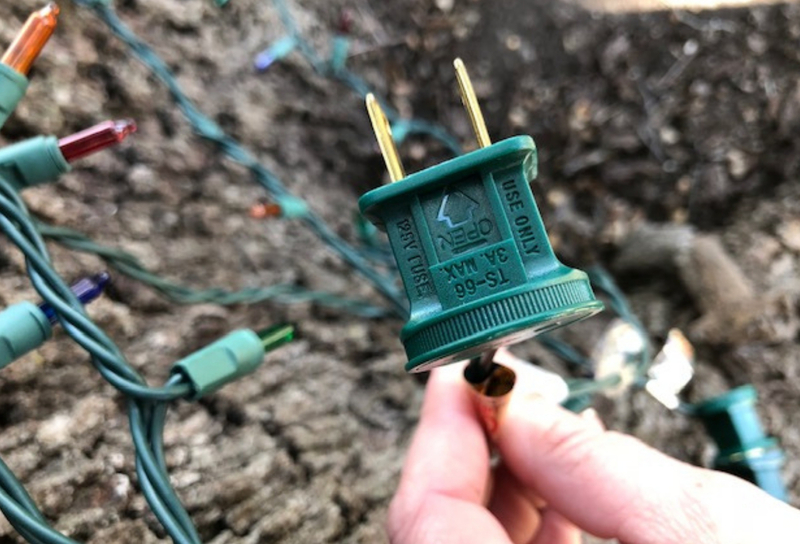 If the entire string of Christmas lights has gone out, this is the first thing to check for troubleshooting. 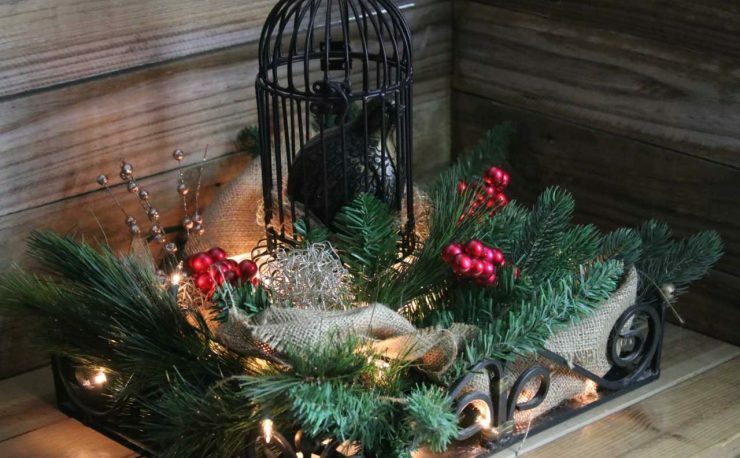 Most of the time, there is a little door in the male plug of your lights – whether they are light strings that have two plugs – male and female – or a set of craft lights that only have a single male plug. 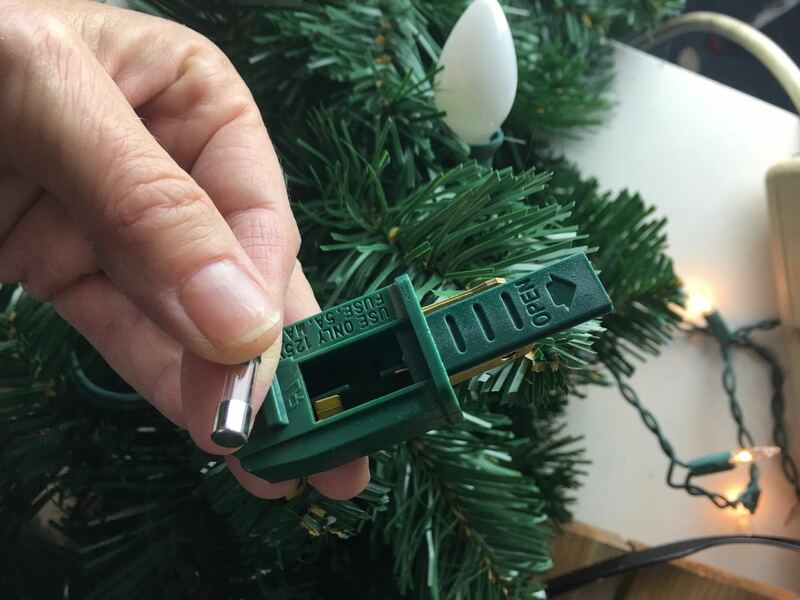 See this photo below of a mini Christmas light plug with the little door. Use a small flat head screwdriver to open the little door. Using a small screwdriver, gently pry out your fuses. 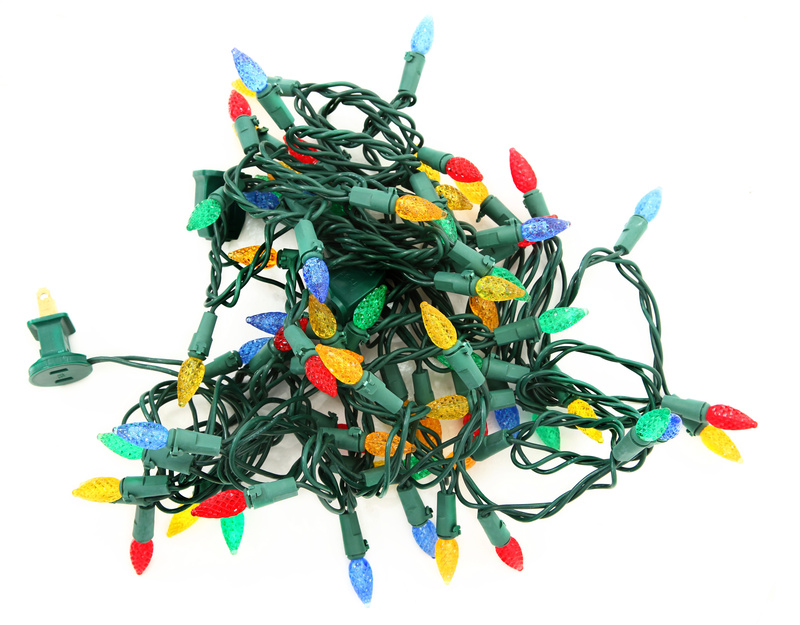 Fuses are usually included with Christmas lights so keep them in a labeled bag ready for future use. As an alternative, fuses can be purchased at auto parts stores. 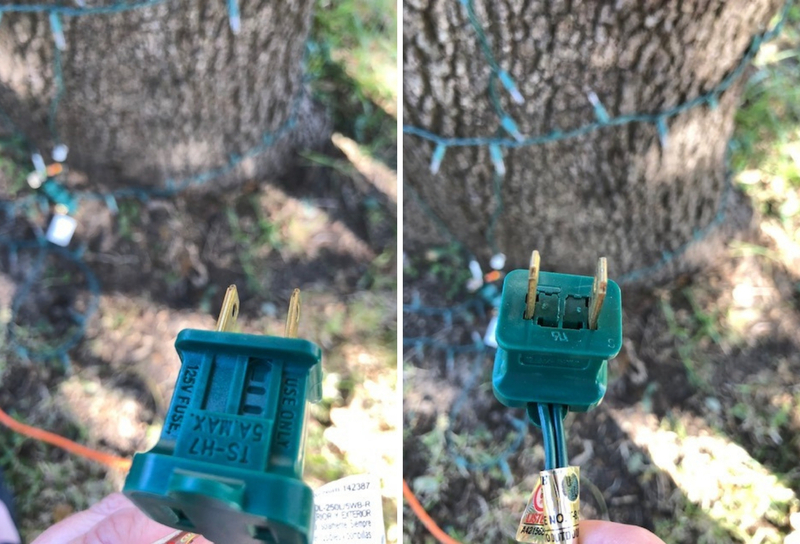 Be sure to have your light string’s maximum current rating and one of the fuses to take to the store to make sure the new fuse purchase is a good fit both physically and electrically. Look hard at your plug. If you have only one set of contacts in your plug but two fuses, that means that the second fuse is a spare. Move it out of its holding spot and move it to take the blown fuse’s place between the contacts. In the photo below, the contact is that little gold metal piece that makes contact with the metal of the fuse. Metal to metal contact is required to conduct electricity in this circuit. Keep in mind that some plug ends require two fuses and the second is not a stored spare. Take a hard look and notice if contacts are present for both fuses or just one. 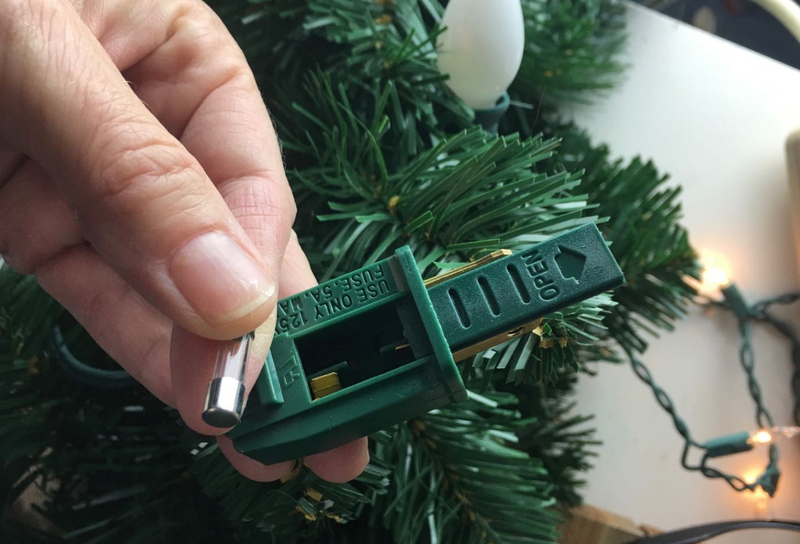 After replacing the burned out fuse(s), shut the little fuse door and test out your lights. Some plugs have “odd” configurations. This plug has two little tiny doors instead of just one and required that both fuses be changed out. We’ve also seen plug ends with little round screw in doors located between the plug prongs. Using a small screwdriver, you “unscrew” the little door to replace the fuse. Why did my fuse blow? More than likely, too many sets were connected in series. 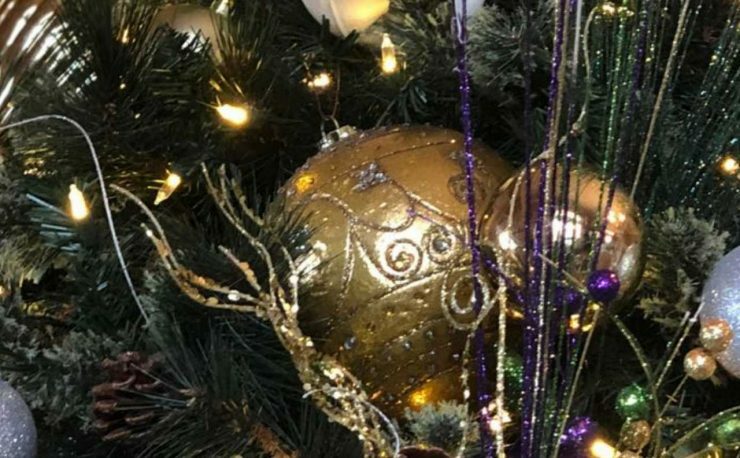 Check the maximum number of lights strings that can be connected in series rating either on the box it came in, on it’s webpage, or check the tag to see if the maximum number of strings is listed there. 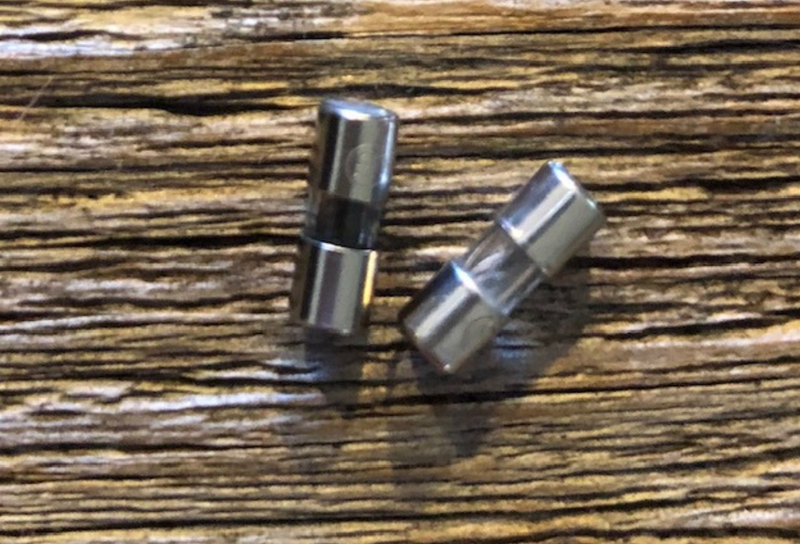 If you are working with C7 or C9 glass bulbs, find out the rating of your plug — is it 5 amps? 10 amps? 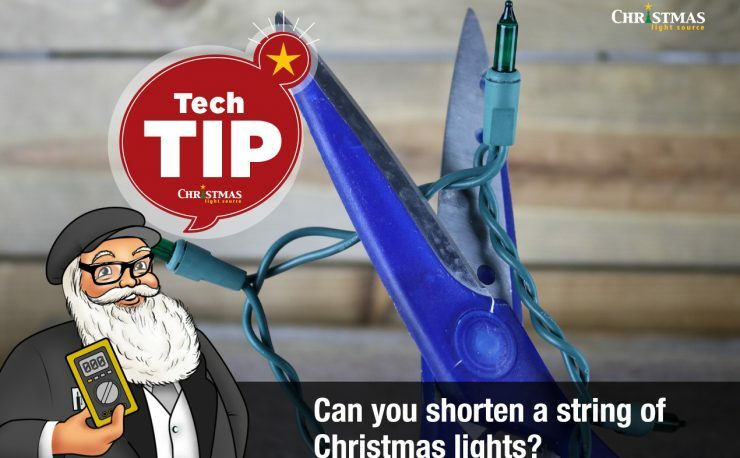 Reduce the length of the run or the number of lights installed if they exceed the maximum current rating for the plug end fuse. 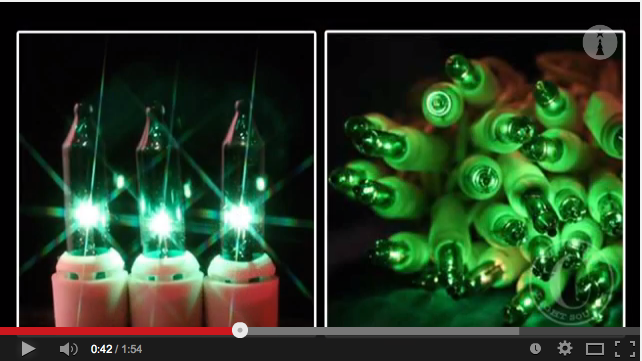 For more discussion, see our video on fuses in Christmas lights. And this video showing the little door which I forgot to do in the video above.